The process flow diagram shown below explains the processes involved in the textile industry. Yarning: The heat is required for cotton blowing in yarning process. 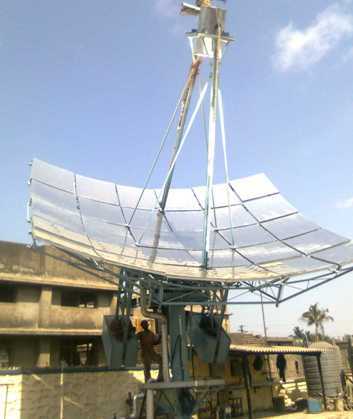 The heat can be provided using solar systems. Weaving: Weaving of the yarn requires heat in the form of steam for the sub-processes like sizing, warping, rewinding etc. 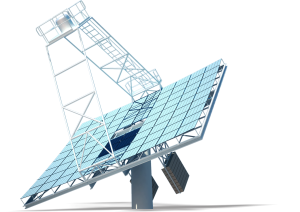 The steam requirements that are in the range of 5-10 bars can be easily catered with the solar steam systems. Yarn drying: The processes like scouring, washing, dying require mainly steam as their heat source. The process flow diagram shown below explains the processes involved in the garment manufacturing industry. Bleaching: The grey cloth is bleached to make it whiter and lighter. This process is heat consuming and this heat can be provided by steam. Drying: Different drying processes at different period in the garment industry requires hot air blow. The hot air is blown through the cloth to remove the water content from the cloth. This hot air can be in the range of 100°C – 150°C. Steam Pressing: The cloths need to be pressed before further processing. These are pressed using steam assisted process. Curing: Generally hot tables are used for curing of cloth, steam at @110°C is passed through the tables.